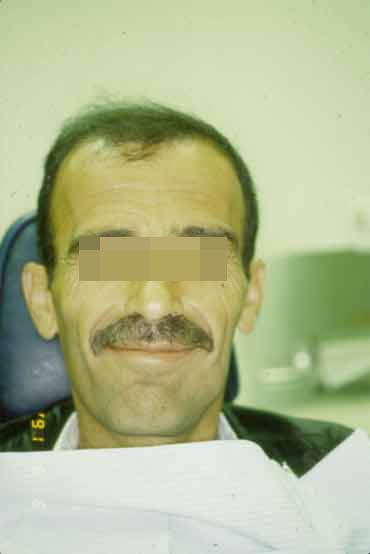 This is a case of a 40-year-old gentleman who complained of a swelling on the left side of his mouth. 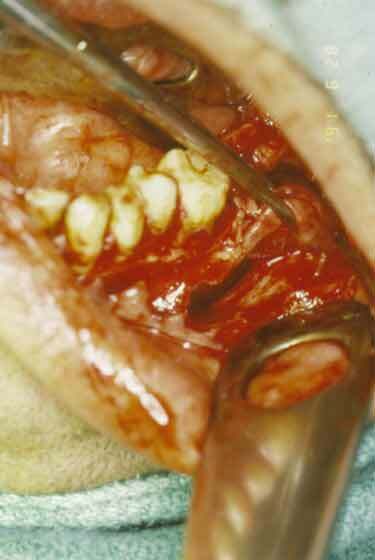 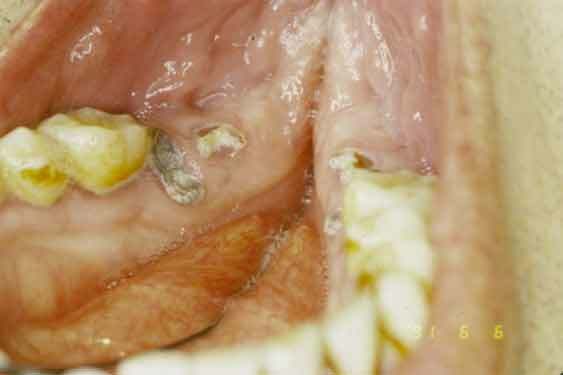 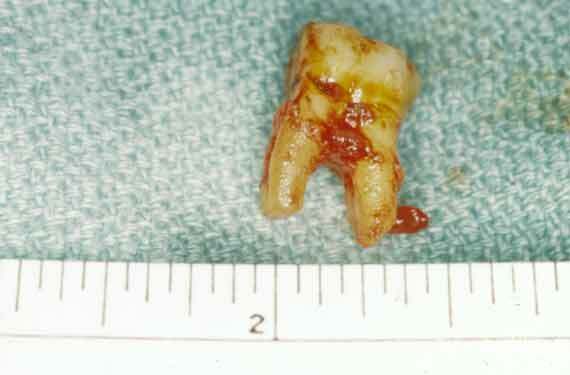 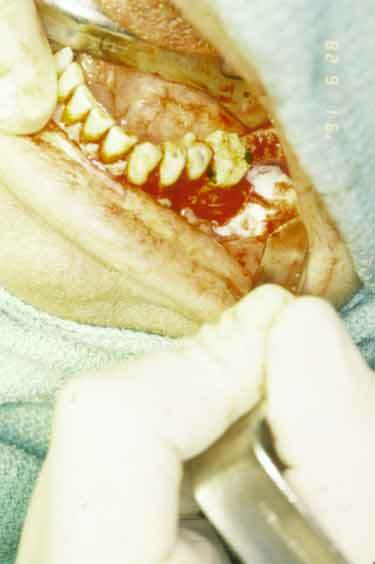 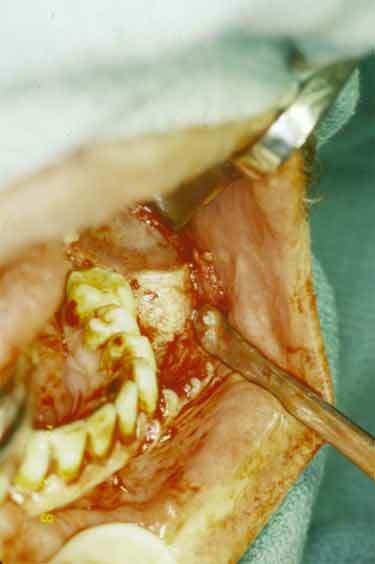 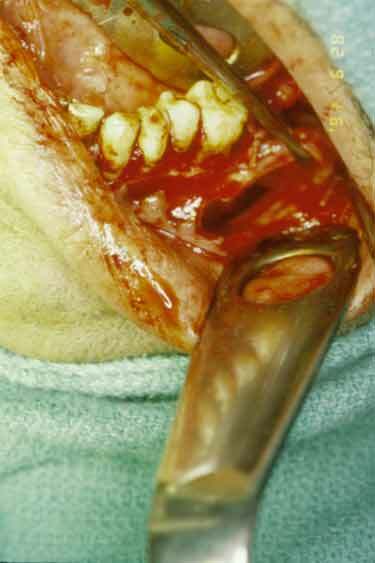 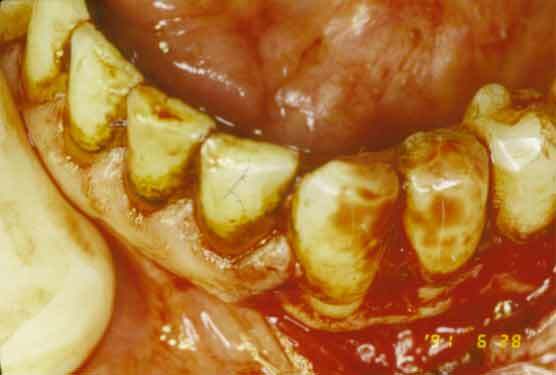 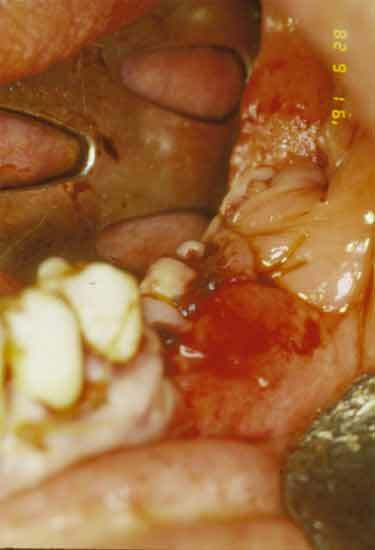 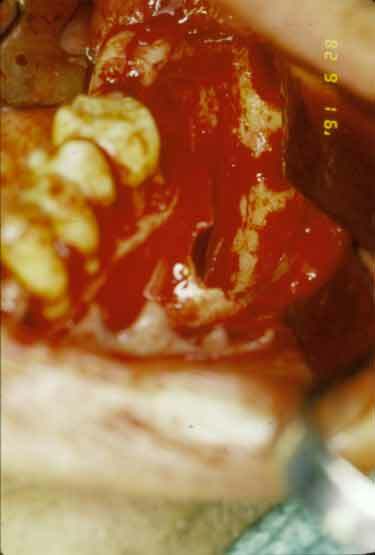 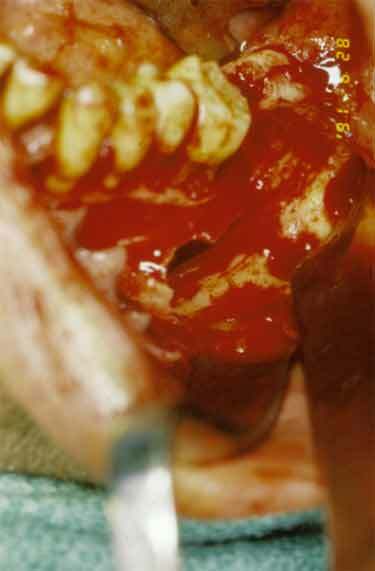 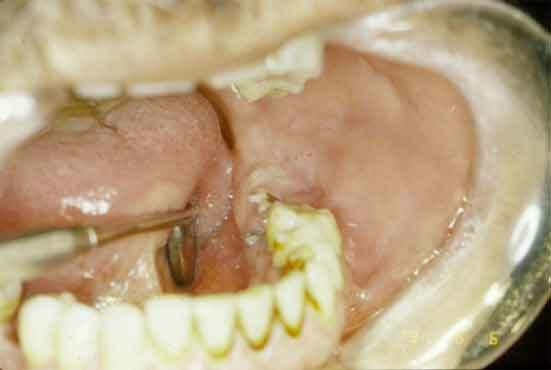 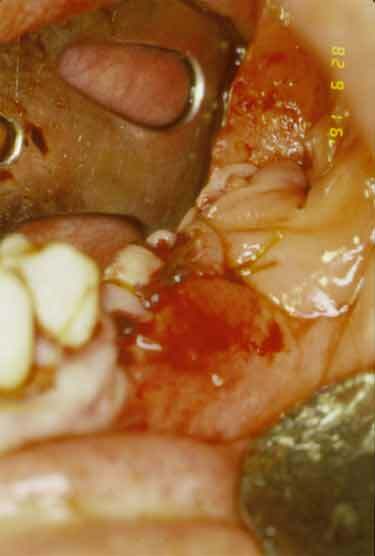 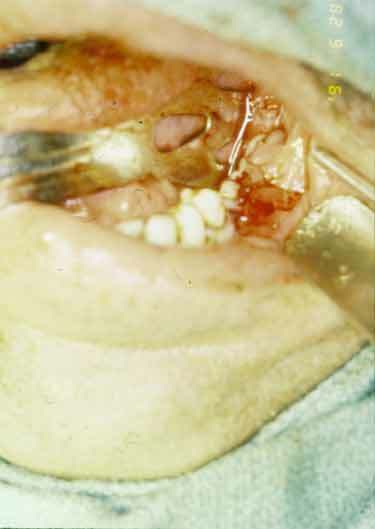 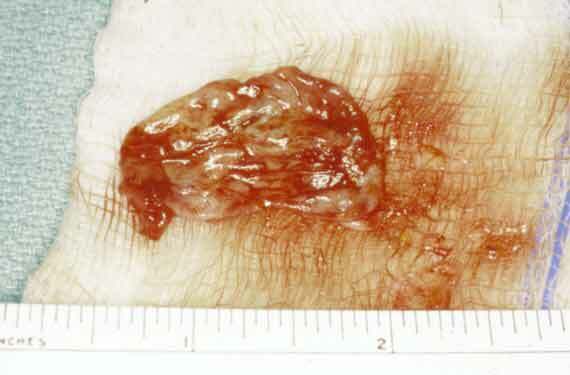 Upon examination pus was exudating from the area of tooth 36 and 37. 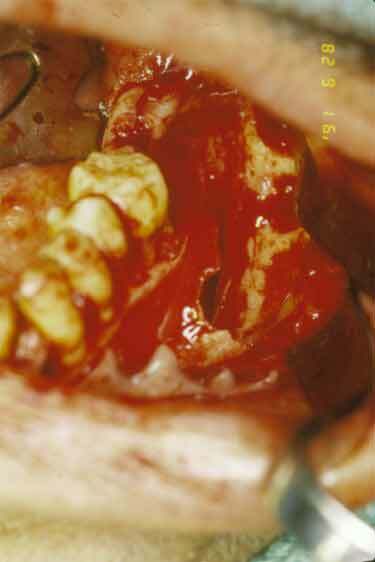 The radicular (periapical) cyst develops at the root apex of an erupted tooth whose pulp has been devitalized by dental caries or trauma. 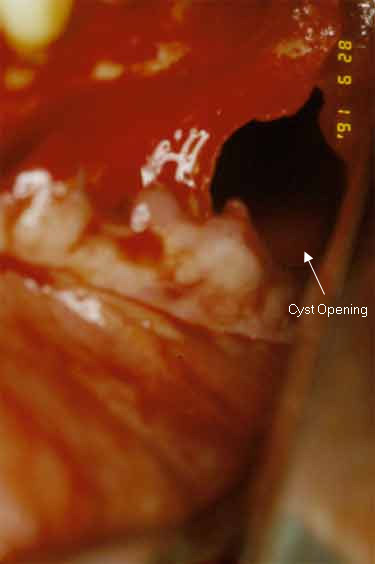 This is the most common type of odontogenic cyst, representing over one half of all oral cysts. 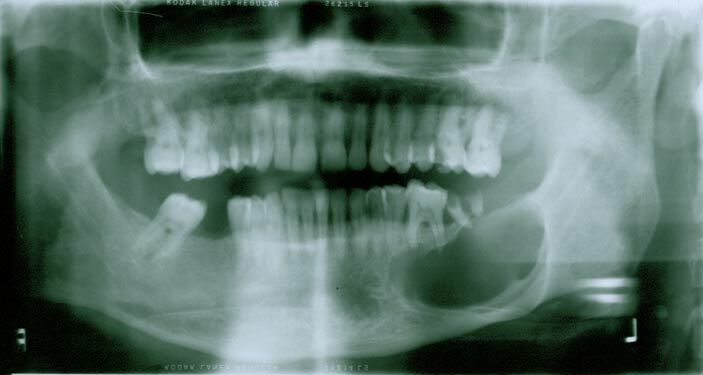 The radiograph showed that tooth 36 and 37 are directly involved in a radicular cyst. 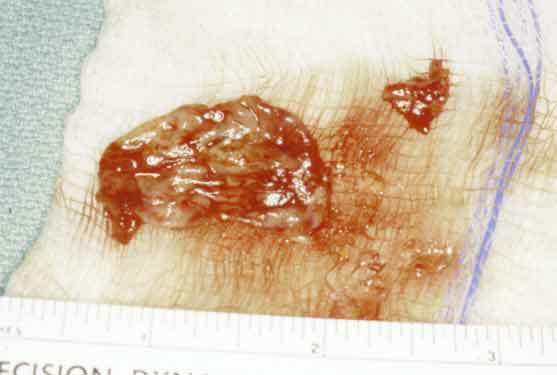 The cyst was completely removed.